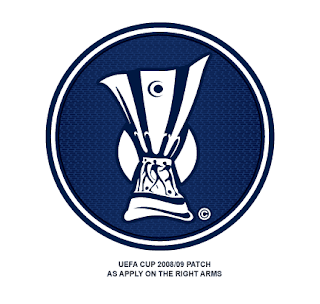 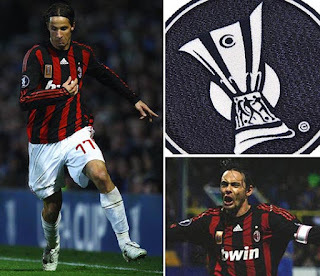 Graphic, the 2008/09 season UEFA Cup logo patch as apply on the right sleeve for every team during the tournaments. 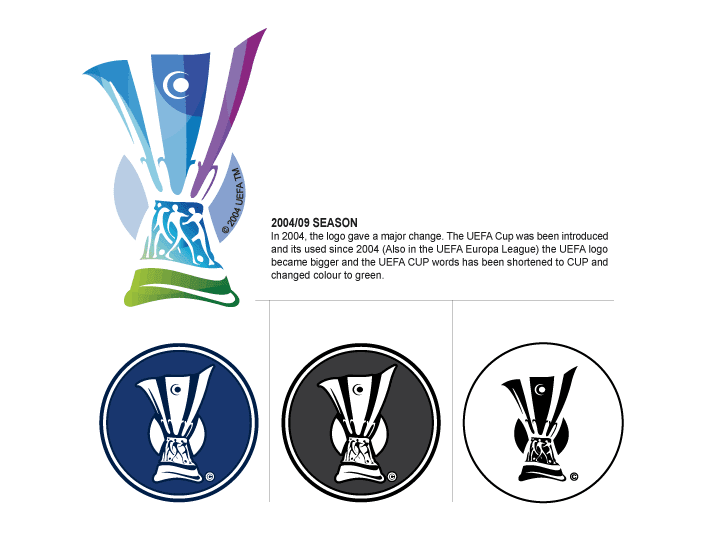 In 2004, the logo gave a major change. 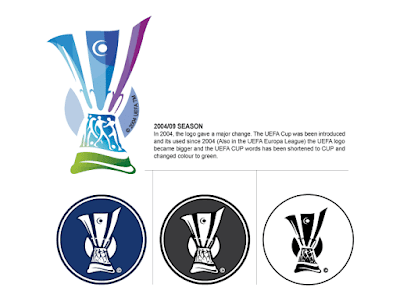 The UEFA Cup was been introduced and its used since 2004 (Also in the UEFA Europa League) the UEFA logo became bigger and the UEFA CUP words has been shortened to CUP and changed colour to green.